Introduced at the height of the Jet Set Age, the GMT-Master II watch was actually a collaborative creation between Rolex and the now defunct Pam Am Airways. Designed for the airline’s pilots, the watch’s “fourth hand” allowed them to differentiate time between two time zones, a necessity for pre-flight scheduling and navigation. 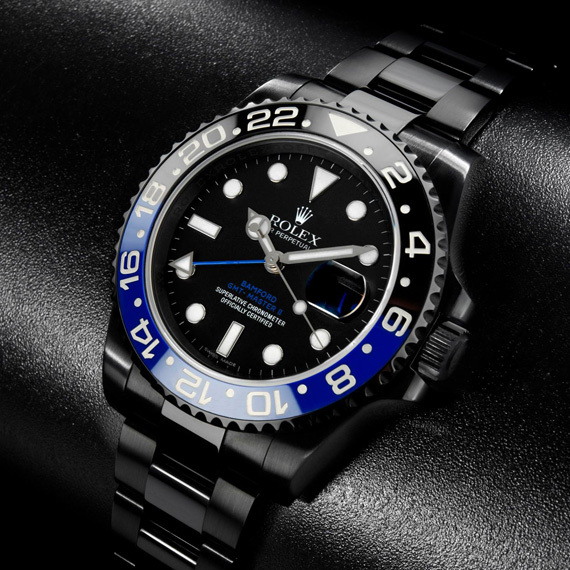 Made with 904L stainless steel alloy and in Rolex’s Oyster case design, not only is the GMT-Master II a reliable timepiece, it is also the ideal base for BAMFORD WATCH DEPARTMENT‘s next customization project. 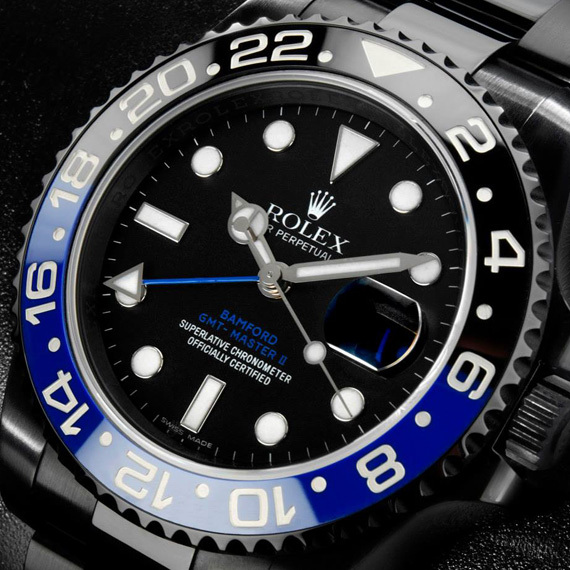 While the Rolex GMT Master II retains its original blue/black bezel, white hands and index, specialists at BWD processed the entire watch in military grade titanium through BAMFORD’s proprietary physical vapor deposition (PVD) method. 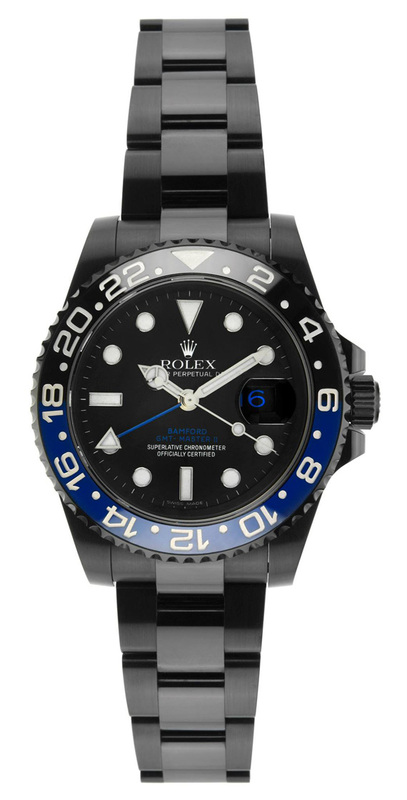 Now in matte black, a final coat of blue on the watch’s date display, “fourth arm”, and BAMFORD emblem complete the design. Part of the BAMFORD’s Special Edition Series, the Rolex GMT Master II Dual Colour (or BiColour) Edition is now available through request for £11,500 GBP, or $17,400 USD.